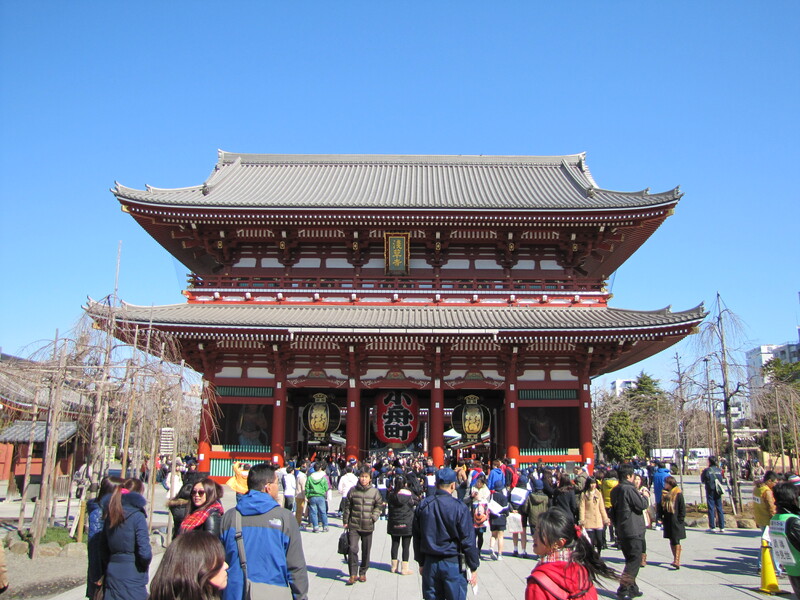 So the first morning of my trip to Tokyo, I wandered Asakusa, which was the location of the hostel I stayed in, and I had to visit Sensouji–the oldest Buddhist temple in Tokyo and a famous landmark! It was impossible to get a photo without tourists in it. Perhaps the worst part about tourist locations… other tourists. 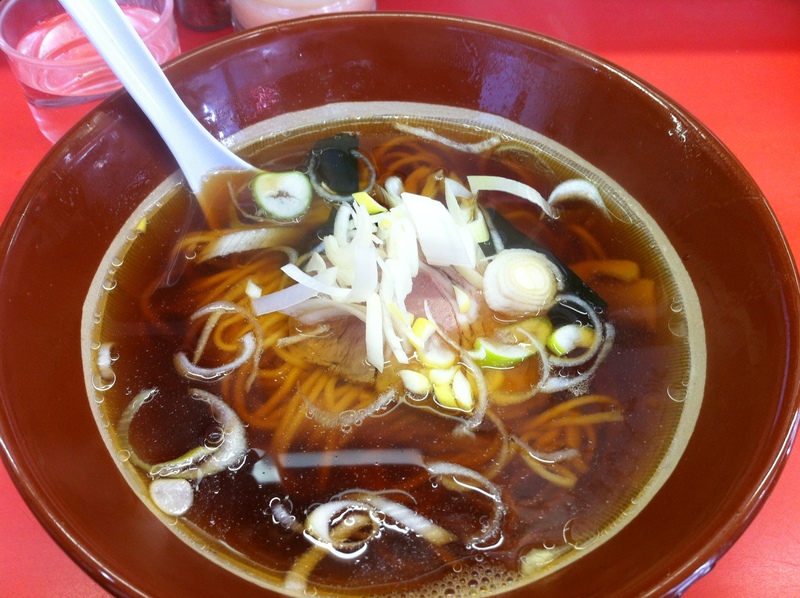 Beyond the gate is Nakamise-dori. 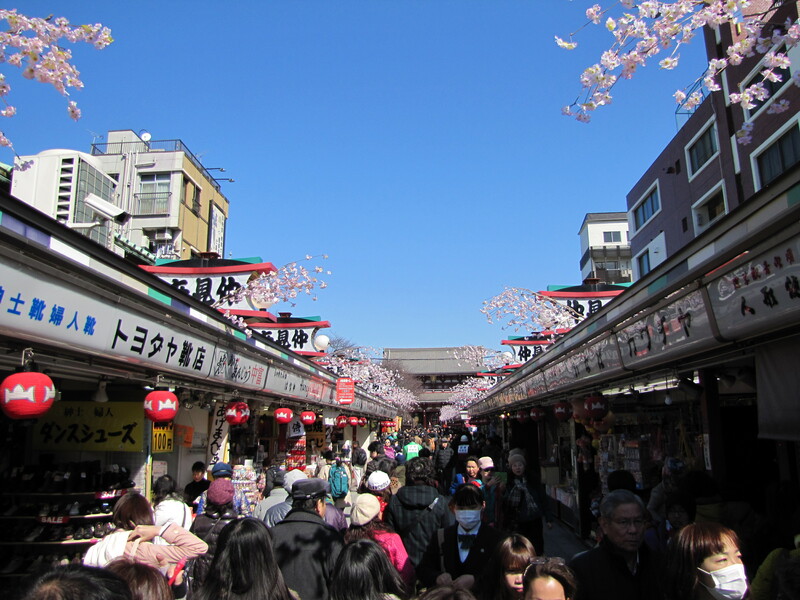 The many shops selling souvenirs and traditional items, combined with the school children waiting to ambush foreign tourists to practice their English, make it quite a tourist trap. 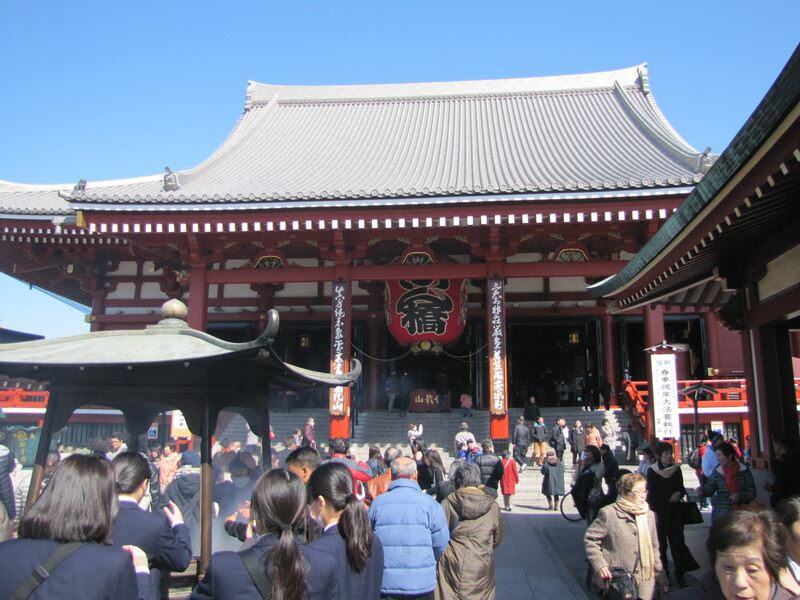 The stalls are actually quite nice–I bought a postcard with a traditional print of Asakusa to send home to my family. But I have gotten quite fed up with the young students who are brought to touristy spots just so they can practice their English. I don’t mind getting stopped once by a group of friendly, curious students, but after the first time, the others mark you as an approachable target and the next thing you know, you’ve answered the exact same questions in slow, easy to understand English at least five times. “Where are you from?” “Where do you want to visit in Japan?” “What is your favorite Japanese food?” I just want to visit the temple!! Note the high school girls burning incense (and taking photos) in the bottom left! 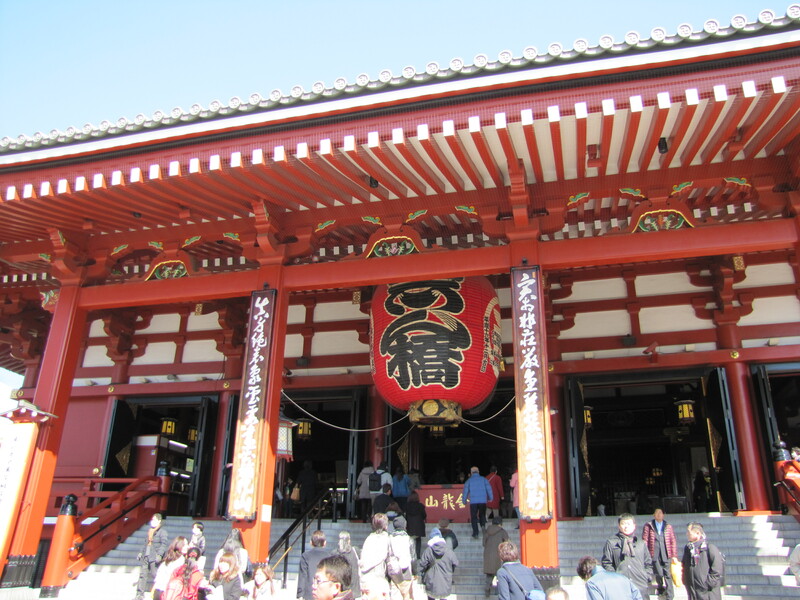 I’m no particularly devout follower of any religion, but I seem to constantly find myself exploring temples and shrines! Is it their beautiful architecture? Their rich history? Their cultural importance? Probably all of the above. But I think any foreigner traveling to a new country and trying to understand the culture would be a complete idiot to not visit the places of religious and spiritual value. After all, these are actually active places of worship, and you will see people coming to pray just as you will find tourists and school trips. 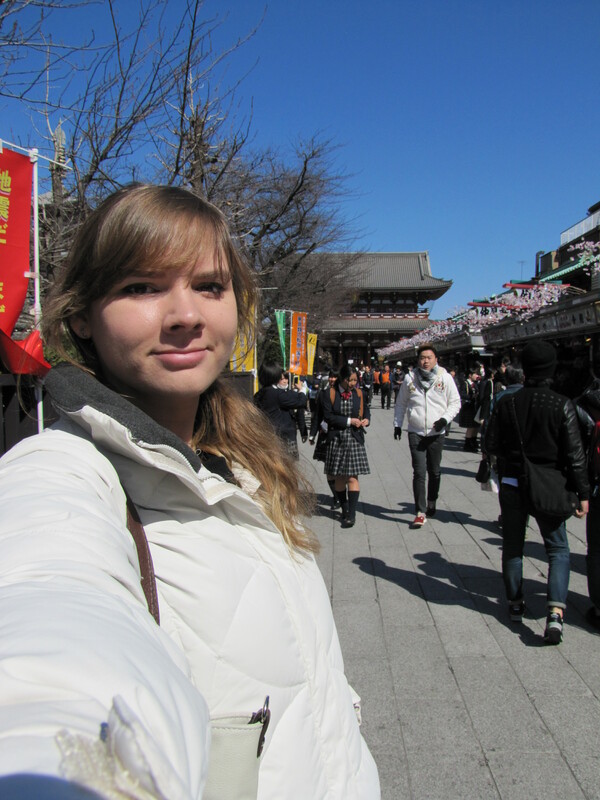 Stay tuned for the second part of my Asakusa adventure: night shots! 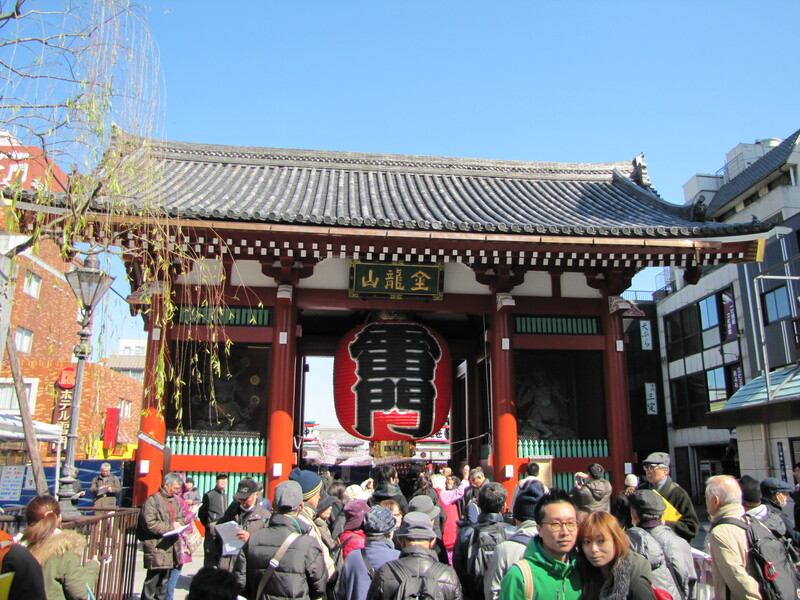 This entry was posted in Uncategorized and tagged Asakusa, Japan, Sensoji, Tokyo, Travel. Bookmark the permalink.